Welcome to the last week of NatCroMo! Here at crochet.org, we're all about crochet every day, every week, every month of the year. And, for four days each year, we are totally about crochet. These are the days we leave everything behind except our hooks and yarn, and we head to a place to be with crocheters 24/7 for four solid days. It's even more fun than it sounds. It's the annual Knit and Crochet Show aka Chain Link, being held this year in beautiful Manchester, New Hampshire from July 23-27. I've been to lots of different sorts of conferences in my various careers, and often you look around and say, "This is all very well and good, but I wouldn't want to spend my life with these people." Chain Link? Not like that at all. You want to spend every day forever with these people. Everyone at the conference is there to crochet, learn about crochet, talk about crochet, wear crochet. These are your people. It's the friendliest conference ever. That pattern you just made? You'll likely meet the designer at Chain Link. And you'll meet other people who made that design, each putting their own mark on it. And you'll all have a grand time talking about your adaptations. 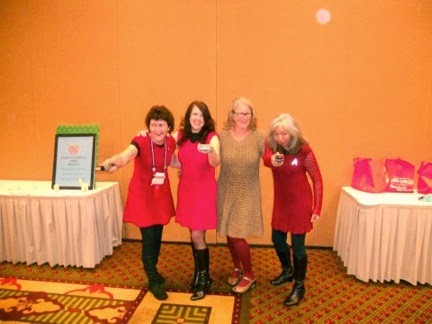 From the left: Susan Lowman, secretary of CGOA and head of the Masters Program; Amy Shelton, past president of CGOA and mayor of Crochetville aka the hostess with the mostest on this NatCroMo tour; yours truly, Marcy Smith, editor of Interweave Crochet magazine and happily president of CGOA for 2014; and Doris Chan, designer of the dress we are all wearing (Rockin Red Dress), with Doris wearing her own variant of this design. And if you crochet up all the yarn you packed? Not to worry -- there's a marketplace where you can score more yarn and hooks. If you've been to Chain Link, you know -- and I'll see you in Manchester in July! If you haven't been yet, registration opens tomorrow. Come join us. You'll be glad you did. (Check out the classes and events, and sign up for your faves. If you have a design you'd like to enter in the design contest, do that. And if you have a project you'd like to show off in the fashion show, get your form in. First-time show attendees should be sure to sign up for the Buddy Program, too!) On Wednesday, July 23, we'll be yarnbombing Manchester! Check the site to find out where to send your swatches by June 1. There are more blogs to come on the NatCroMo tour! And, there's still time, always time, to donate hats to Halos of Hope, the focal charity for the tour. Happy NatCroMo from Kate Steinke, Newest Member of CGOA Board of Directors! Welcome back now to the CGOA Now blog for another stop on the on the Crochetville NatCroMo Blog Tour! Big thanks to Amy and Donna at Crochetville for setting up this extremely successful and super-fun event again this year ;) I hope you have had a chance to follow along this month reading about all of the other amazing members and leaders of CGOA. As well, it is my extreme honor to be sharing this day with the founder of CGOA, Gwen Blakely Kinsler, go over and read her blog today as well! Perhaps you have also had a chance to make a hat (or two!) for our featured charity this month, Halos Of Hope. Cancer has hit my family far too many times, as I am sure it has hit many of yours, so I know first-hand how much that little bit of warmth and love can mean to someone fighting every day for their life. I have to admit that this post is not what I had intended to write just a couple of weeks ago when I found out I was going to be on the tour. I was going to talk about all the amazing work being done behind the scenes on the board, what our functions and responsibilities are, how I got there, and a whole bunch of other stuff. Not to worry, I will definitely be posting about all of that soon, but today I really want to tell you about my “Crochet Ladies”! My husband and I moved here to Durham, NC back in 2005 from Rochester, NY. We really did not know anyone down here except for the people we worked with. And being the only female engineer at a company is one thing, but at the company I worked for at the time, I was the only woman in the whole office! It was nice to have my own personal bathroom (they even let me decorate it a little!) but it certainly was not a great way to meet anyone with any of the same interests outside of the office. So one day, I was surfing around the old Crochet Partners forums looking for anybody else near me that got together to crochet. I did have one woman reply back that she was a member of the Tarheel Crocheters that met up at a Shoney’s once a month and that I was welcome to join them anytime. I was so excited, the next meeting was in 2 weeks and I wanted to have at least 3 amazing things to show everybody as well as have the perfect project to be working on at the meeting that I could tell them all about ;) I can’t even remember what I was going to show them except for the fact that I left all of them at my office because I was still sewing in ends on my lunch break and had somehow left them on my desk. I was so upset when I had finally made it to the restaurant and realized what had happened that I almost didn’t go in. But, I still had many skeins of yarn in my car (you always need backup yarn, right? ), a couple of patterns I was hoping to try and even a couple of hooks that would work, so I shoved them all into my too-small purse and headed in. This was the first time that crochet had changed my life and these were my Original Crochet Ladies! The ladies were all so intriguing, I had never met a whole group of other crocheters that I wasn’t related to, so seeing all of the different projects and hearing their stories was just awesome! Sure, I was the youngest one there, and I am sure a few of the older women didn’t quite know what to make of me, but they welcomed me all the same. We met every month for 5 years, we moved to an IHOP for a while, then a Bob Evans, new members would join and some just stopped showing up. We worked on all sorts of different charity projects, sometimes a member would teach a new pattern or technique, we always had show-and-tell, and we even started coming up with games and events that were crochet related, especially during March! Those ladies saw me through many life changing events. When I was due to have my first child and couldn’t travel to any of our families, they gave me a baby shower. When my sister’s husband was dying of a brain tumor hundreds of miles away, they made an afghan for him that he cherished till the day he passed and that my sister still has out. And after I had my second child and realized I couldn’t juggle being a full time engineer and a mommy to 2 little ones under 15 months old, they were my only saving grace when I found myself at home all day with 2 babies and no more career. It was around that time when I first heard about CGOA, (I had started to write out the whole story for this blog post too, but it’s almost like an entire chapter of a book, so I will spare you for now! ), and I attended my first conference in the summer of 2010. The Buddy Program was in its first year, and since I had signed up to be a member of CGOA at the same time that I registered for conference and to be a Newbie, it seemed like overnight I had found hundreds of new Crochet Ladies! I was completely blown away by my experiences at my first conference. It was so remarkable to meet people from every walk of life and from all around the world who may do something completely different for the other 51 weeks of the year, come together and share their passion with each other for that 1 week in July. This is when I truly realized what it meant to be a crocheter, not only because I like to make and create things with a hook and yarn, but because I love being a part of this community where we are all each other’s Crochet Ladies! It has been an honor to be in charge of the Buddy Program myself for the last 3 years. I have been so fortunate have been able to meet so many of our newest members of CGOA as well as some of our longest, and to witness on a daily basis the generosity of the members in sharing their knowledge, experiences and talents. Whenever I needed help, there was always so many eager to do whatever they could for the program as well as for each other. Unfortunately, I have had to step down as the Buddy Program Coordinator so that I may focus on even more responsibilities as a member of the Board of Directors. You can bet that I have loads of new ideas for our community to keep growing and enriching, but for now I would just like to take a moment to thank Gwen Blakely Kinsler and all of those first CGOA members for their hard work to create and sustain this organization for the last 20 years. Thank you for taking the time to stop by and read all of this. It probably would have been much more interesting with a few pictures, so I will try for a few more of those the next time I post! I hope you have a fantastic rest of National Crochet Month and I urge you to reach out and not only learn a new skill this month, but to meet another crocheter! Till next time, STAY STITCHIN'! Wow, it’s been 20 years since CGOA was formed. I remember meeting CGOA Founder Gwen Blakely Kinsler back in the mid-1990s when she was organizing the first Chain Link conference. It’s amazing to see how CGOA has grown from that small group of enthusiasts to a national network of crochet fans. 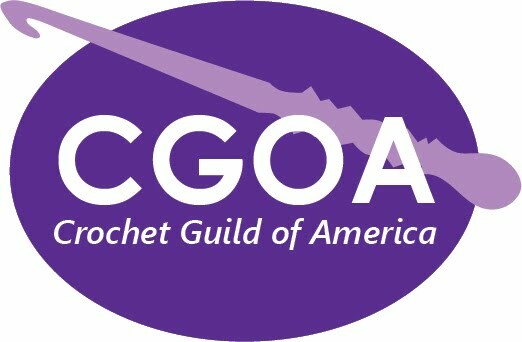 CGOA is credited with raising awareness of crochet in the industry. Before CGOA, the yarn industry tended to be more knit-centric. As CGOA provided crocheters with a more unified voice, yarn manufacturers and publishers took notice. They began to realize the diversity of crocheters and the need for finer yarns, a more extensive selection of crochet patterns and they responded with exciting new yarns and an array of magazines specifically devoted to crochet. The organization also reached out to crocheters nationwide to create local chapters. Today, at guild chapters around the country, crocheters regularly gather to enjoy the camaraderie of their shared passion. CGOA’s national conference also has evolved. Its educational programs now provide members with the opportunity to take classes from nationally and internationally known crochet experts. Most importantly, the conference continues to serve as a community meeting place for crocheters from around the country to meet, greet, and share. Of course, CGOA has done much more, including developing its acclaimed Masters Program. It’s this program that provides members with the opportunity to build their expertise with guidance from crochet experts. From a personal perspective, CGOA and TKGA national and its chapters have always been tremendous supporters of Craft Yarn Council’s education initiatives. When the Council organized Knit Out & Crochet Events, it was guild members who committed to staff the Learn to Crochet and Knit tables at these venues. They literally taught thousands of novices how to crochet and knit. We couldn’t have done it without them and hopefully in the process many of these newbies went on to join that local guild. Guild members have also been generous supporters of Halos for Hope, the wonderful charity that is being supported by the Crochetville blog tour, Warm Up America! and other industry charities, along with some of the Council’s more fun events like I Love Yarn Day, which is the celebrated on the second Friday of October. A number of guild chapters planned special events on that day to teach crochet to others and once again helped to raise awareness of the craft. CGOA and its chapters have created an amazing community, which should be celebrated in March and year round! Love to Crochet Your Own Originals? Enter the CGOA Contest! Love to Crochet Your Own Originals? Enter the CGOA Design Contest! If you are a crocheter who often does your own original wonderful creations, here are a few reasons you should enter the CGOA Design Competition. · It is fun to see your creation exhibited with other outstanding crochet designs. · It will give you a reason to really stretch yourself and create something that will give joy to yourself and others. · It may lead to crochet fame and give you credibility with magazine editors, book publishers and yarn companies (if you’d like to become a designer in the industry). I know as Design Manager at Red Heart I found new designers this way. · And last (but not least), there are monetary prizes in each of the 5 categories: Fashion, Accessories, Home Décor & Afghans and Thread Crochet. And this year there is a special category, the CGOA 20th Anniversary Award, that will be given to the entry that best celebrates and exemplifies the spirit of CGOA in 2014. Last year I was one of the judges lucky enough to see the amazing designs up close and personal. Boy was I wowed! The Design Competition grows each year as CGOA grows. It is the most exciting part of the conference (other than seeing crochet friends and meeting new enthusiastic crochet people and taking classes and shopping the market and so on and so on). So I encourage you to enter the contest and let the world see what you can create! You'll need to become a member of CGOA (if you are not already) and check out the competition rules that will be on the CGOA site soon (or maybe they are being added as I upload this). Happy 20th Anniversary, CGOA! We’ve come a long way since 1994! Did you know that March is National Crochet Month, along with National Craft Month? Since CGOA is an integral part of National Crochet Month, it is fitting that the CGOA Board members participate in Crochetville’s National Crochet Month Blog Tour again this year. Check back on the CGOA blog to read more from the other CGOA Board members this month. Many thanks to Amy Shelton and Donna Hulka for putting together this blog tour. We’re supporting the charity, Halos of Hope this year. For more information about Halos of Hope, visit their website at www.halosofhope.org. I’d like to introduce myself. My name is Susan Lowman. 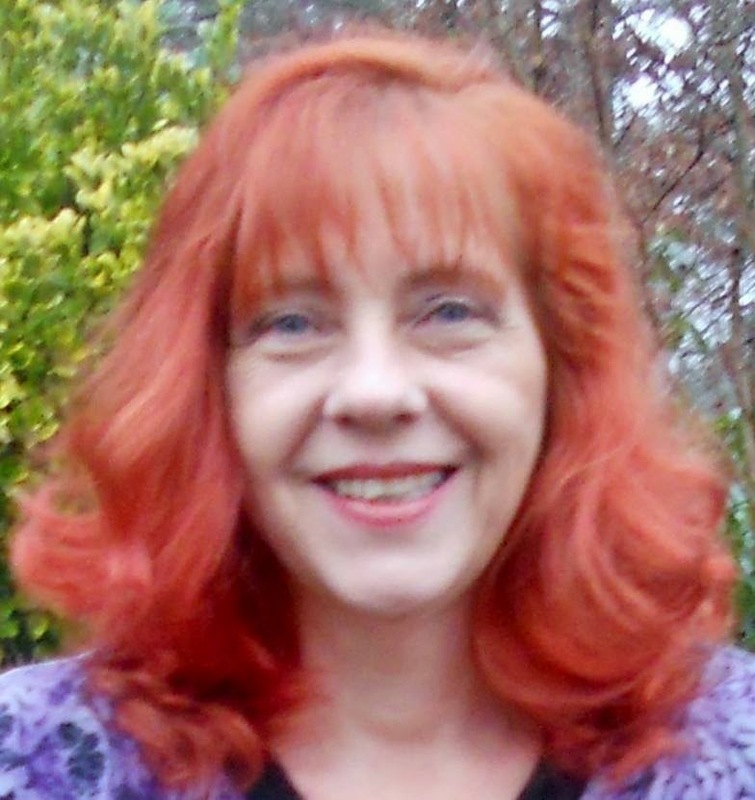 I am a professional member of CGOA, working as a freelance crochet designer, technical editor and teacher. 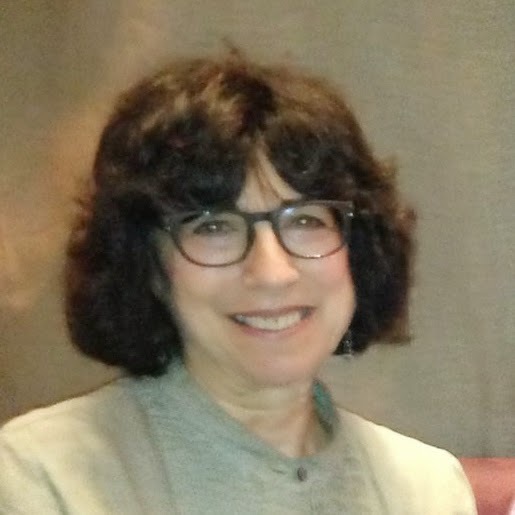 I am the secretary on the CGOA Board of Directors, the liaison to the CGOA Masters committee, one of the 2 co-chairs of the CGOA Masters program and a senior portfolio reviewer in the CGOA Masters program. As you can tell, I’m “involved” in CGOA!!! I’m very excited to tell you about the first CGOA Masters Day that we’ll be presenting this year at the CGOA Conference (aka: Knit & Crochet Show or Chain Link Conference) in July in Manchester, NH. Our first CGOA Masters Day is really only a half day this year, but it will be loaded with helpful information on how to improve your crochet, including such topics as getting gauge, weaving in ends invisibly, joining smoothly, fastening off neatly and more. We’ll also be reviewing swatches in the program to teach you how to review your own work and we’ll explain what we’re looking for in the portfolio reviews. Jane Rimmer (the other co-chair of the CGOA Masters program) and I, along with the other Masters Committee members (aka: portfolio reviewers), are very excited about this Masters Day and we hope you are, too! We’ve got a lot planned for the 3 hours and look forward to sharing it with all those in attendance to help further everyone’s crochet skills and knowledge. If you’re currently enrolled in the CGOA Masters program or you’d like to learn more about the program, you’ll want to attend the CGOA Masters Day on Wednesday, July 23 from 2-5 pm. For more information about the CGOA Masters program, visit the CGOA website here. This is the main page for the Masters program on the CGOA website. From here, you can go to other pages on the CGOA website to find out even more about the program. For more information about the Knit & Crochet Show, check out this website. The complete show schedule, including more specific information on the classes and CGOA Masters Day, was delayed on the website by a few weeks. So if it isn’t there yet, please give it another week or two (it should be posted on the Knit & Crochet Show website by the end of March, at the latest). Welcome to the next stop on the Crochetville blog tour in celebration of National Crochet Month. We'd like to thank Amy Shelton and Donna Hulka for putting this event together again this year. I hope you are enjoying all of the stops and you can find the complete list here in case you missed any of them. Please join us in supporting Halos of Hope as we collect handmade hats for cancer patients. You can find all of the details here including where to ship your hats and many hat patterns you can use. 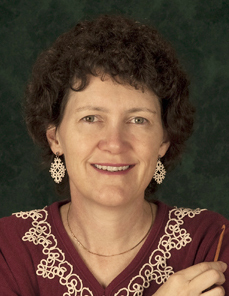 For those of you who don't know me, I am Tammy Hildebrand and I currently serve as the Vice President of CGOA. It is an exciting time as our board of directors are working on many new ideas to bring as much value to your membership as possible. If you haven't visited our Facebook page yet, please stop by. This is where we post our announcements making it the perfect place for you to hear our latest news. We wouldn't want you to miss out on anything! In celebration of National Crochet Month as well as the fact that our Facebook page is approaching 30,000 fans, we would like to offer you the opportunity to win a prize! We value each and every one of you and hope you will consider joining CGOA if you are not already a member. You can read the top 25 reasons to join on our website but there are just too many benefits to list them all. 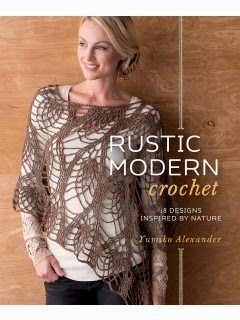 To enter for your chance to win a copy of Rustic Modern Crochet, simply leave a comment on this blog telling us why you love the Crochet Guild of America! You can also earn another entry by "liking" our Facebook page if you aren't already a fan. Please share the crochet love by sharing our page and let others know about CGOA! We will also select 5 additional entries to win the pattern of their choice (up to $9.99) from Crochetvile! Good luck everyone! We will announce our winners next Monday, March 24. I am excited to announce that we're just about ready to post the Official Information Package for CGOA 2014 Design Competition. Fame, crochet glory and cash prizes await your talent. I know many crochet fiends... uh... friends have already been working feverishly on their designs. Look for a link this week to download the official pdf for all the rules and regs. There are a few changes from previous years, including a special prize to celebrate CGOA's 20th Anniversary, so read up. Deadline for entries is July 1, 2014. Thanks for your patience. Can't wait to see what crochet brilliance you create for our event!